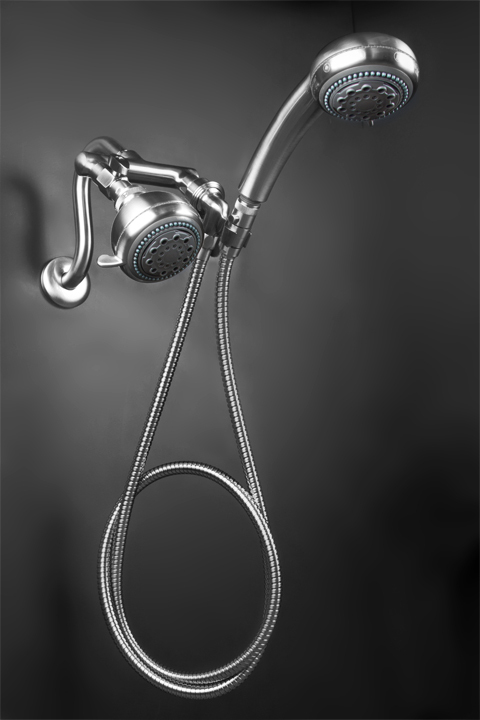 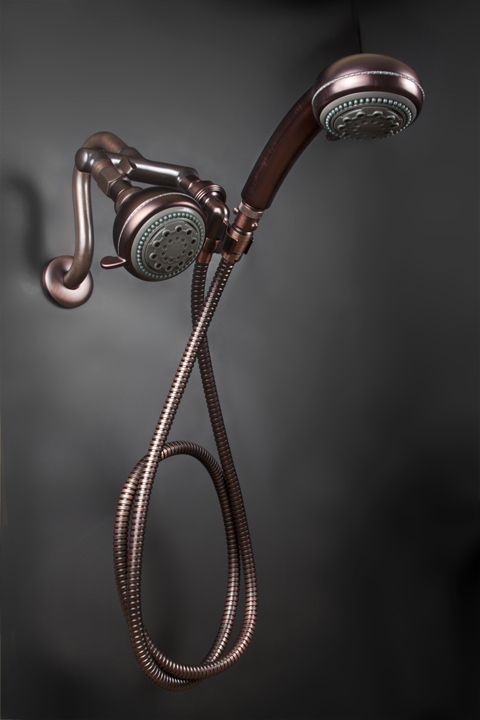 Double Shower Heads deliver Exceptional Showering. 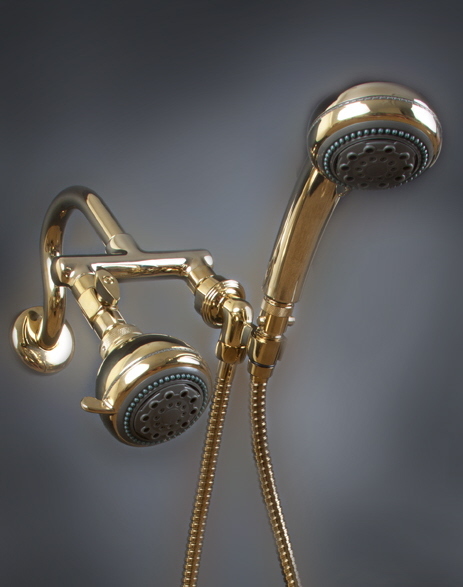 Run One or Both shower heads at the same Time. 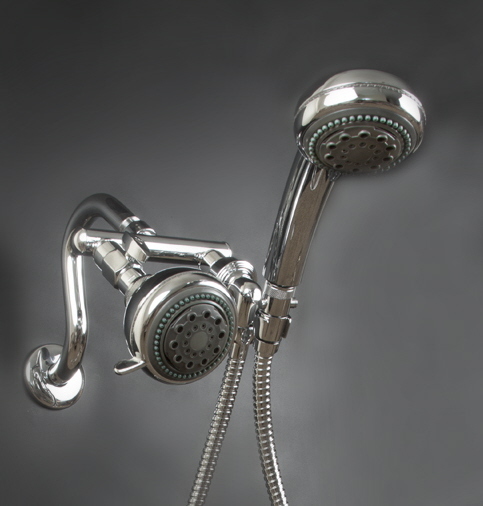 Both Shower Heads Swivel in all Directions. 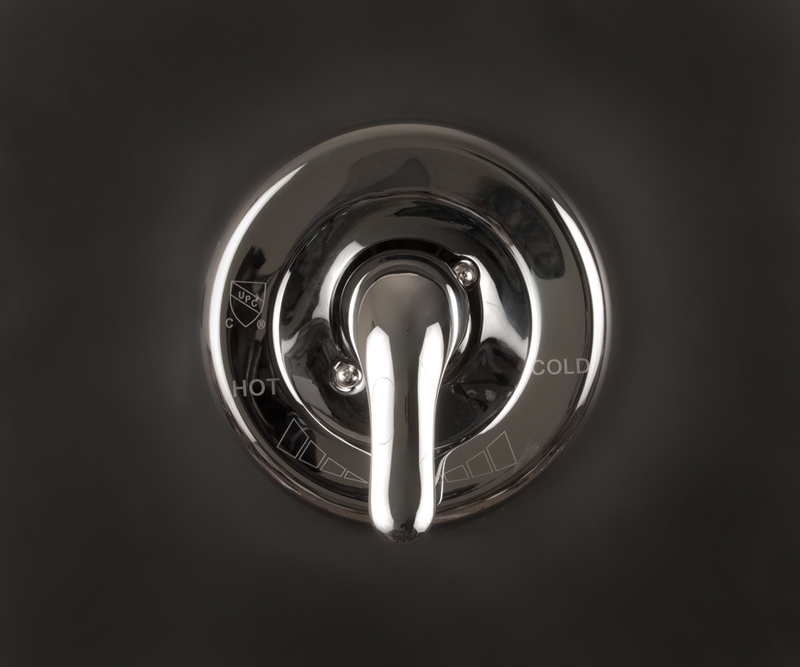 Solid Brass, Chrome Plated Dual Manifold.